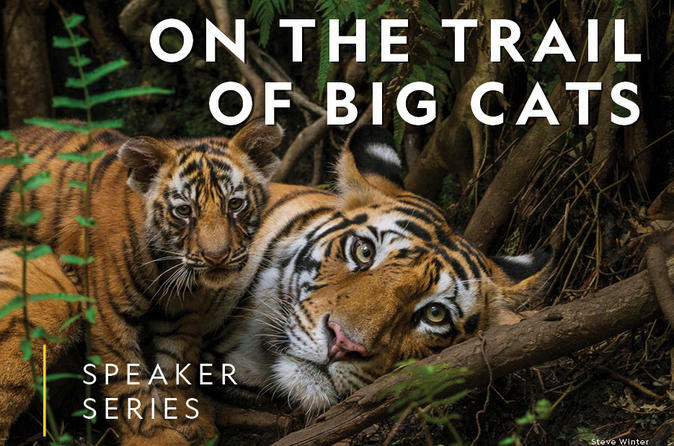 Go around the world in search of big cats with award-winning photographer Steve Winter. A determined explorer, Winter will lead you from Asian jungles where resilient tiger populations persist, to the Himalayas, home of the rare snow leopard. Follow him into the rainforests of Latin America to view the elusive jaguar – and to Hollywood in pursuit of the American cougar. He’ll share both dangerous and lighter moments: from getting stuck in quicksand to mishaps with remote-controlled cameras. Co-author of the new National Geographic book Tigers Forever,Winter seeks to share the beauty of big cats while working to save them.